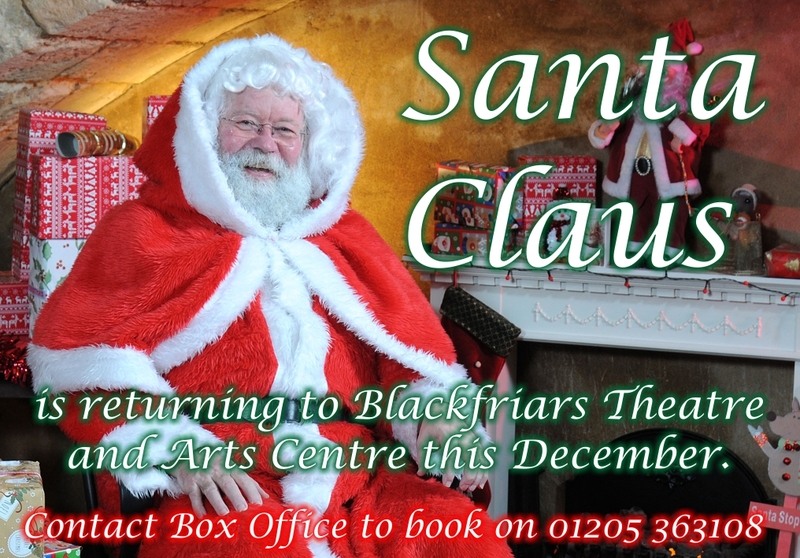 Santa Claus is returning to Blackfriars Theatre this December and bookings are now open! Contact Box Office on 01205 363108 if you want to book a time slot - alternatively you can just turn up on the day to see the jolly chap. 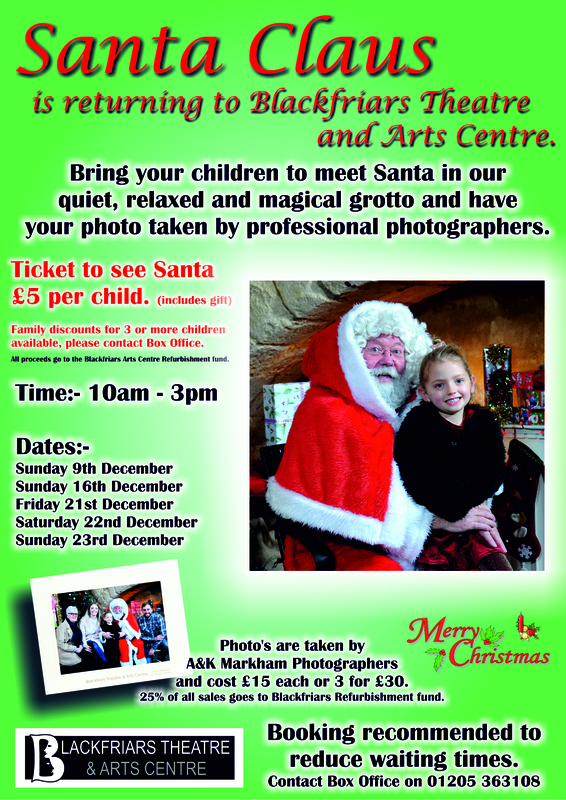 Tickets to visit Santa cost just £5 per child* and can be purchased from Box Office. 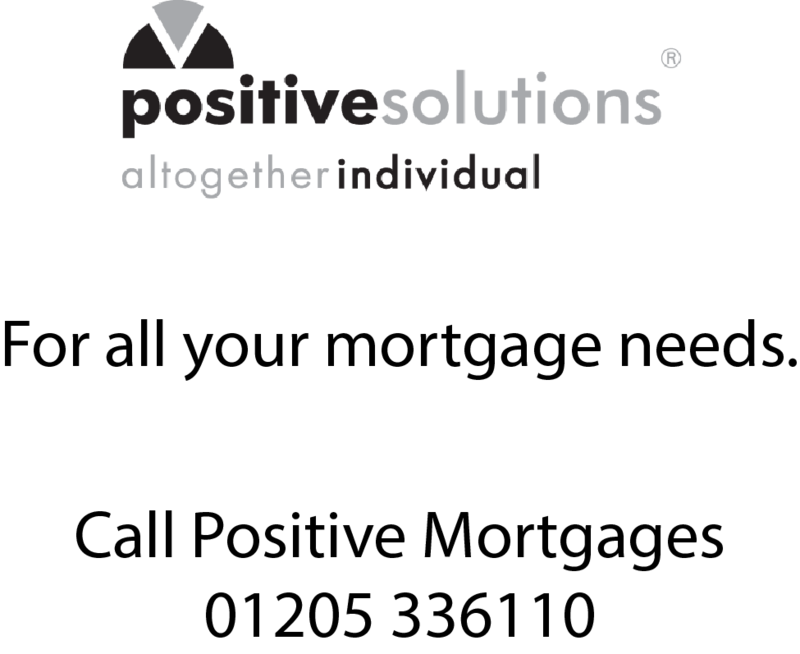 We have also arranged for professional photographers A&K Markham to come back and get some shots of the special moments for you to purchase**. *Family Group Discounts available. 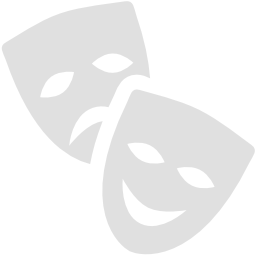 All proceeds go to the Blackfriars Theatre Refurbishment Fund. ** 25% of all photograph sales is donated to the Blackfriars Theatre Refurbishment Fund.